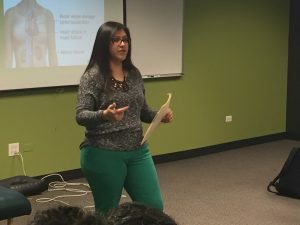 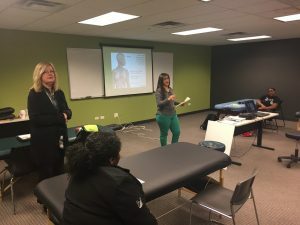 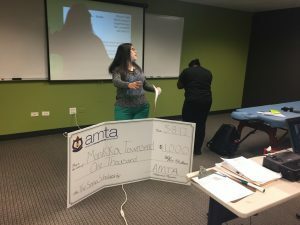 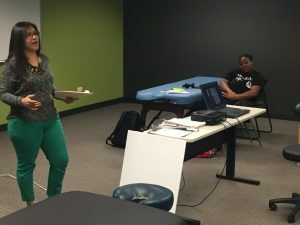 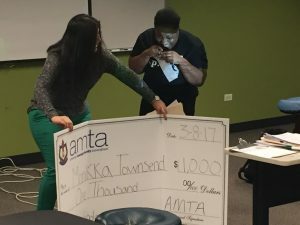 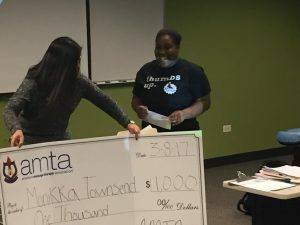 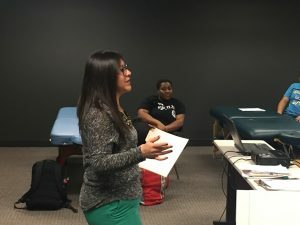 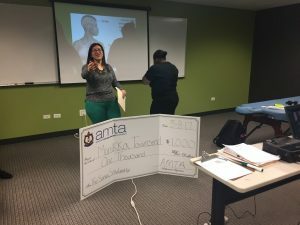 The American Massage Therapy Association has teamed up with Soma with a plan to help ease the financial burdens of a few lucky students by periodically giving out $1,000 scholarships throughout the year. 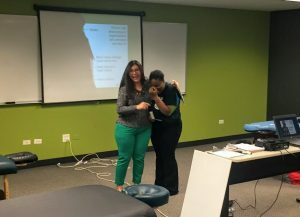 Our most recent winner is Monikka Townsend, who, as you can see from the pictures, was quite overwhelmed with emotion (there weren't many dry eyes in the room). 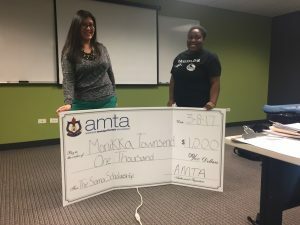 The big winner with her check. 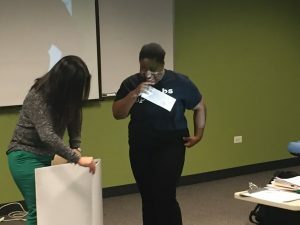 Still blissfully unaware that she was chosen. 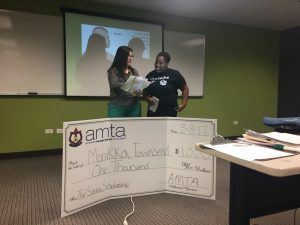 Here Monikka is being told it costs $996 to buy a pen large enough to endorse this check.